The Iowa Egg Council and Fareway Stores, Inc., delivered a full truckload of eggs to the Food Bank of Iowa on Wednesday, January 30th for distribution to food banks serving Iowa. The eggs will provide a wholesome source of protein for Iowans struggling with hunger throughout the state. 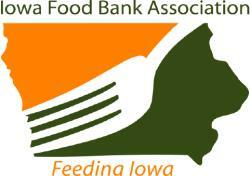 The donation is the result of a campaign partnering Fareway and the Iowa Egg Council during the holiday season. Customers purchasing two dozen eggs at any Iowa Fareway location, triggered an automatic donation of one dozen eggs to Iowa food banks. The campaign aimed to give back to individuals who are food insecure in the communities where Iowa egg farmers live and serve. "We are proud of our partnership with Fareway Stores," said Kevin Stiles, Iowa Egg Council Executive Director. "Eggs are an economical protein and essential food, and we hope this donation will help further the mission of Iowa's Feeding America member food banks."